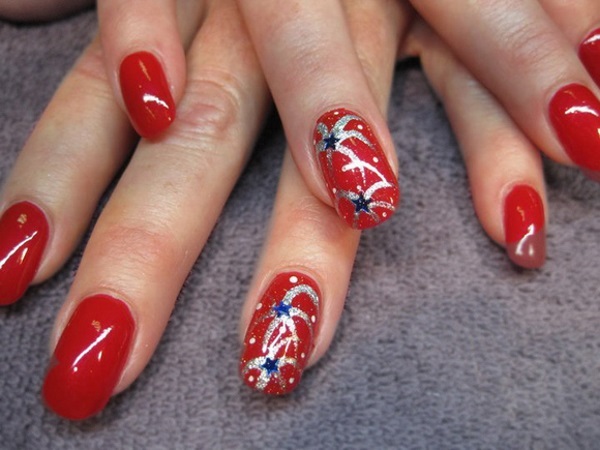 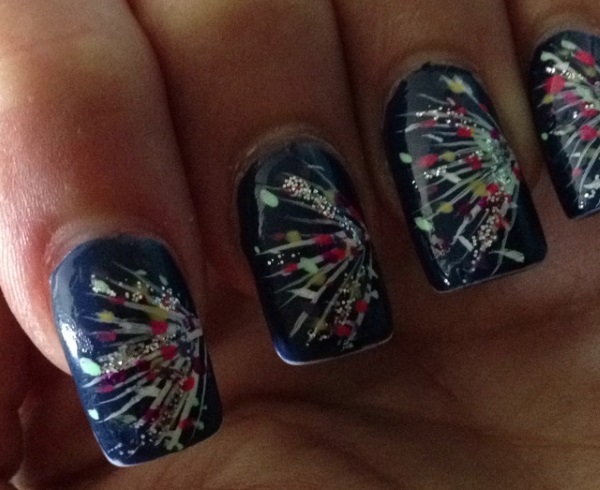 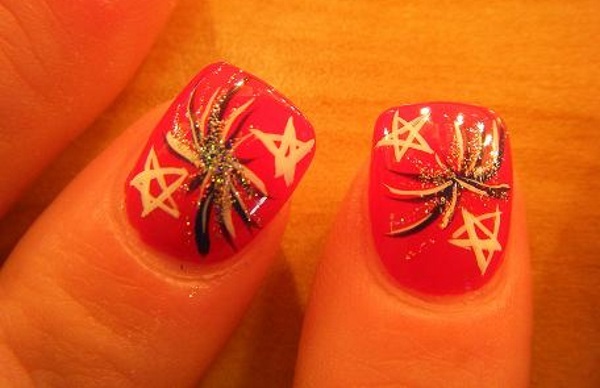 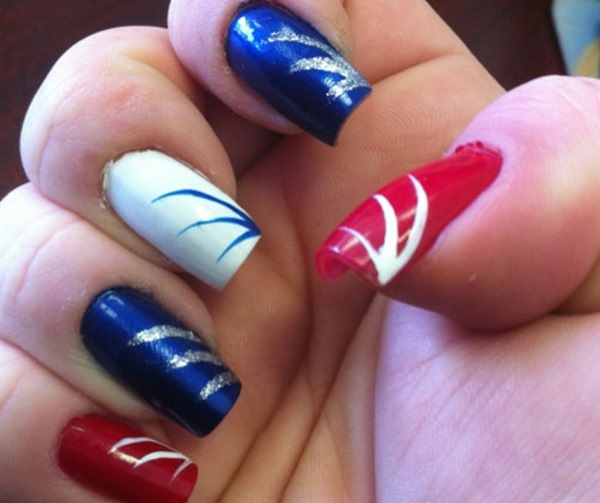 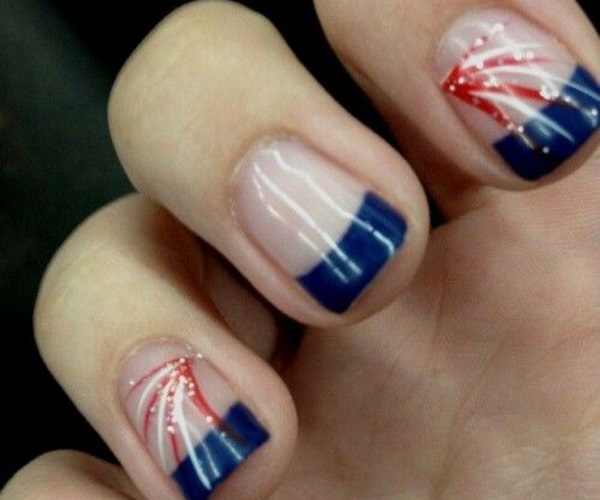 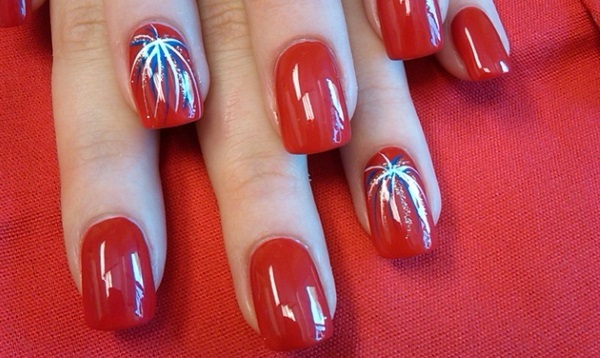 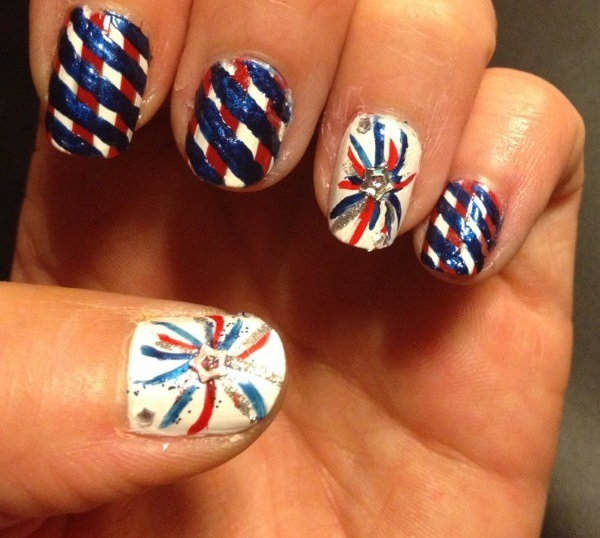 Have you ever seen fireworks nail designs before? 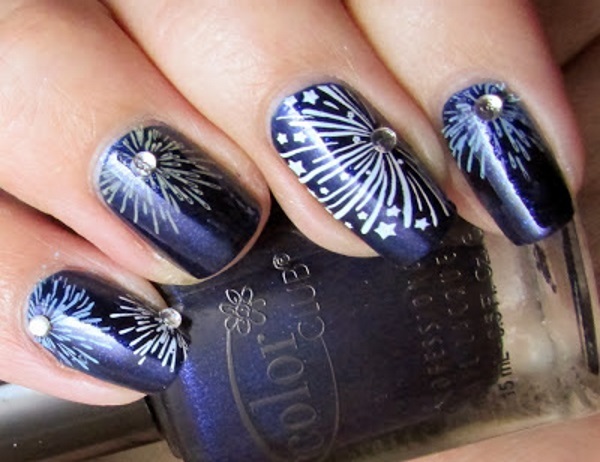 Most of time, fireworks would remind us of festivals and celebrations. 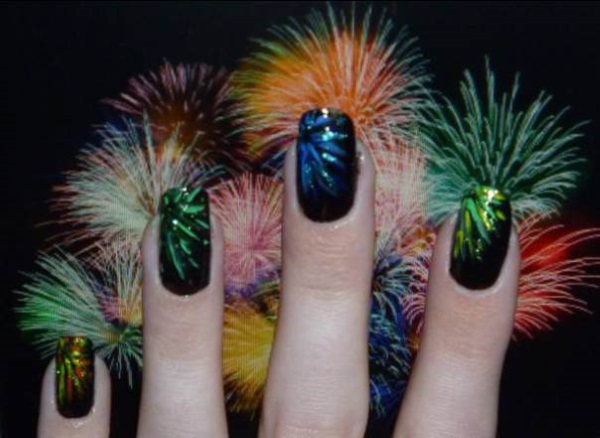 We all love to watch firework shows as they can make us feel happy. 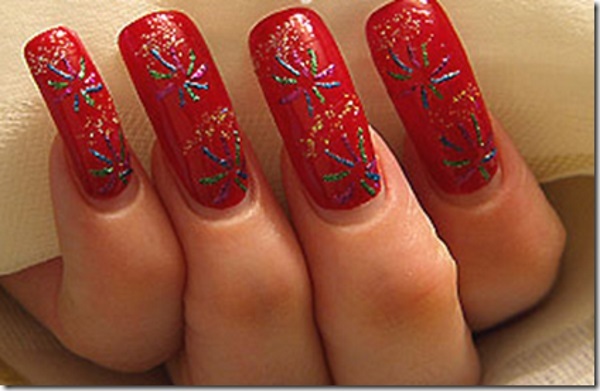 Today, I’d like to show you several ways to paint them on your nails. 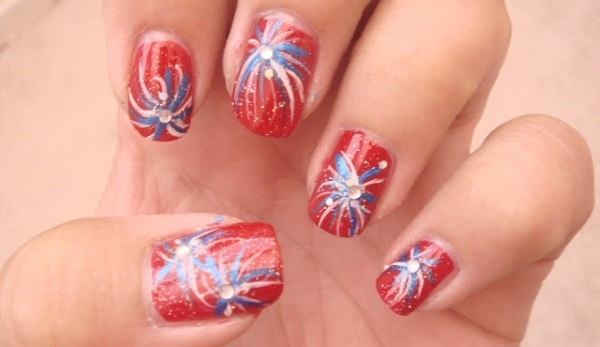 It is absolutely fun and interesting for every girl. 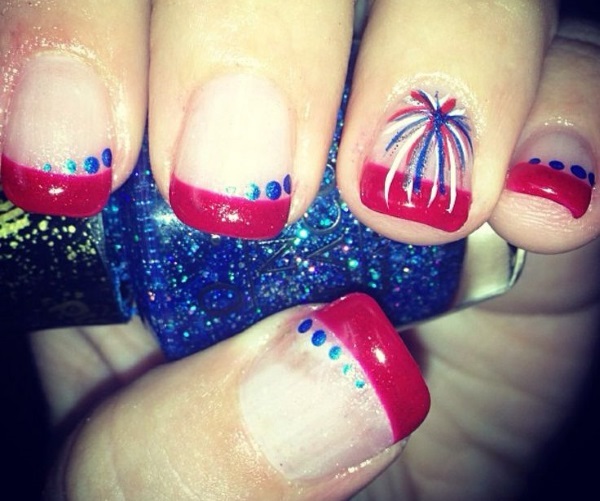 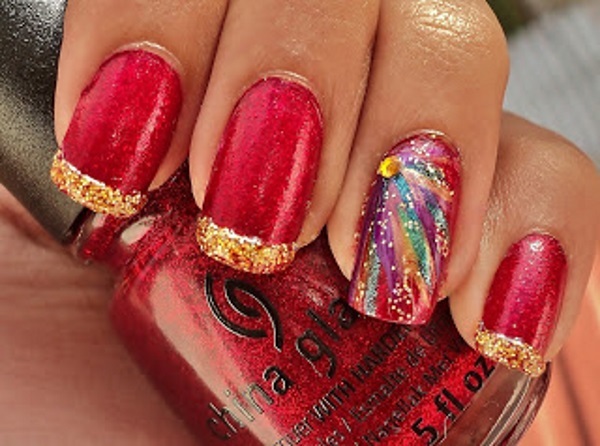 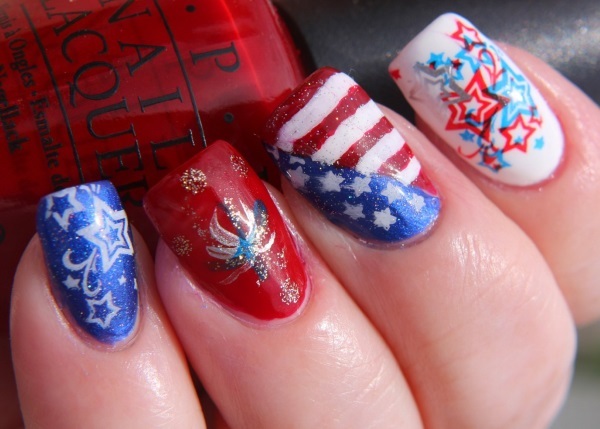 Follow us with 23 terrific fireworks nail designs in this post and hope you can be inspired! 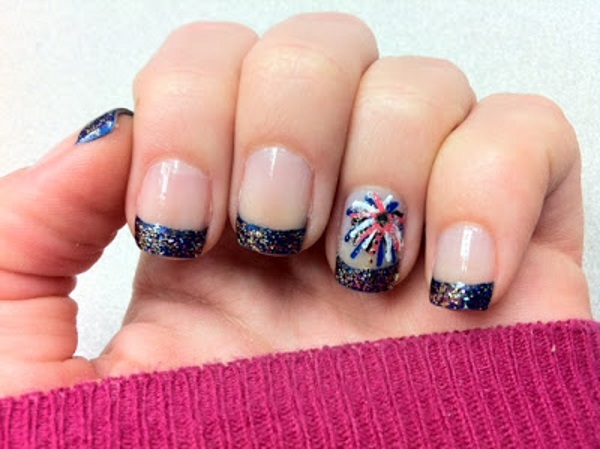 You can use any bright colors that you like to make your fireworks nails. 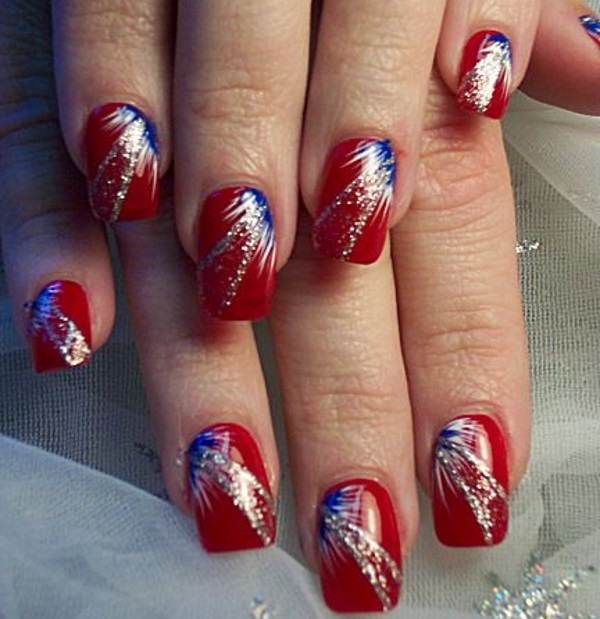 But the most commonly seen ones are featured with white, red and blue colors, which make them be a good option to for July 4th. 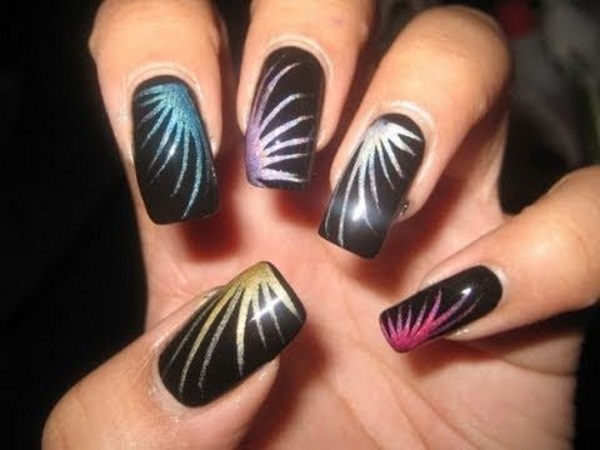 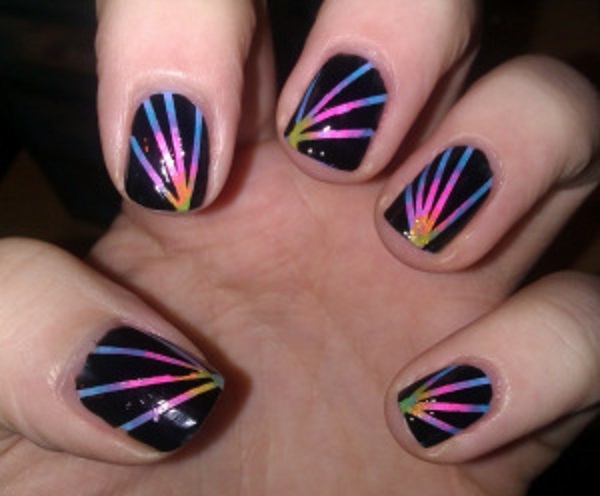 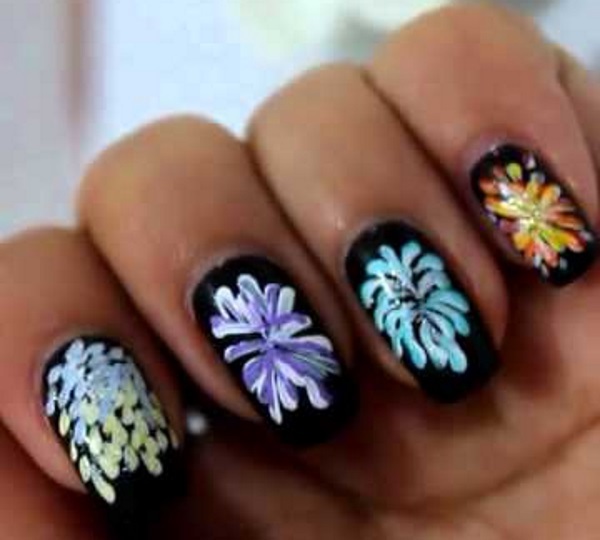 You can also style your fireworks nails in the simple black and white look. 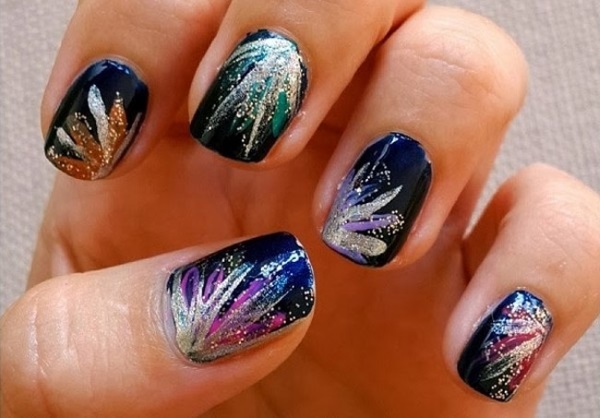 If you want your nails look shiny and unique, then add some golden glitter to create more spot of attention.